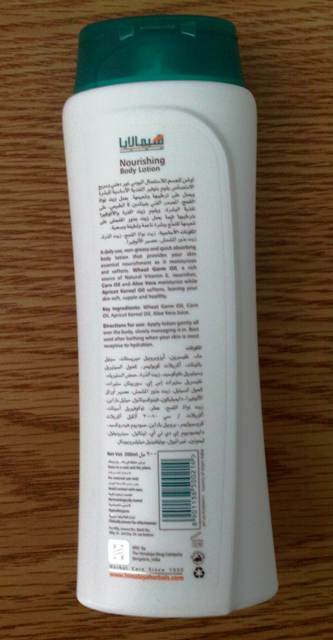 Notice the encircled word “Philebno” on the photo; it doesn’t mean anything. 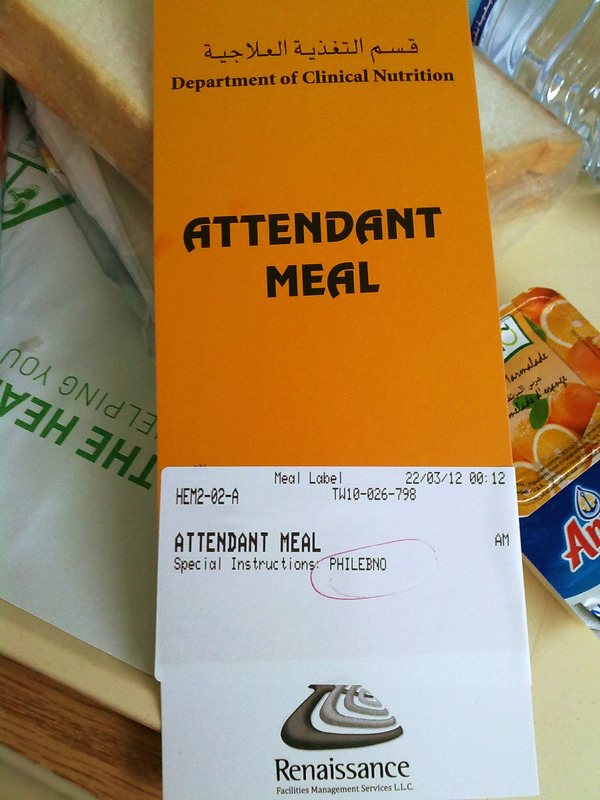 It was a mistake and it is supposed to be “Filipino”. It would be nice that other nationalities will treat each foreigners or expats with utmost care and consideration to know the right term. 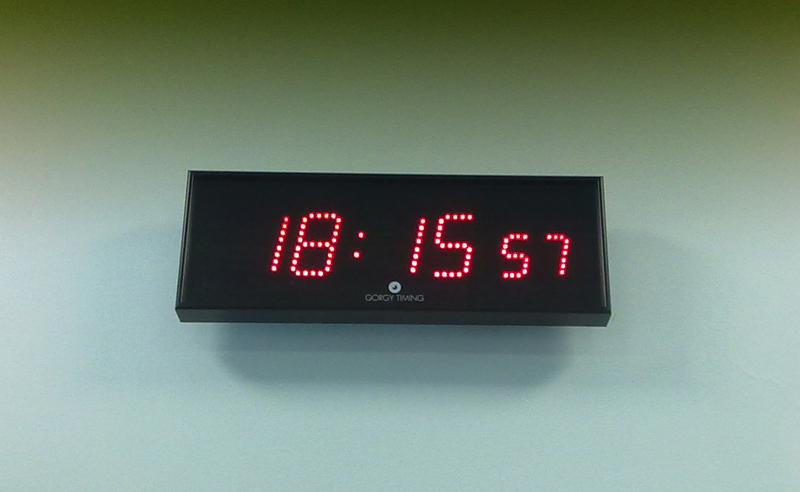 Every single day we have to go through 24 hours. How do we go through it? 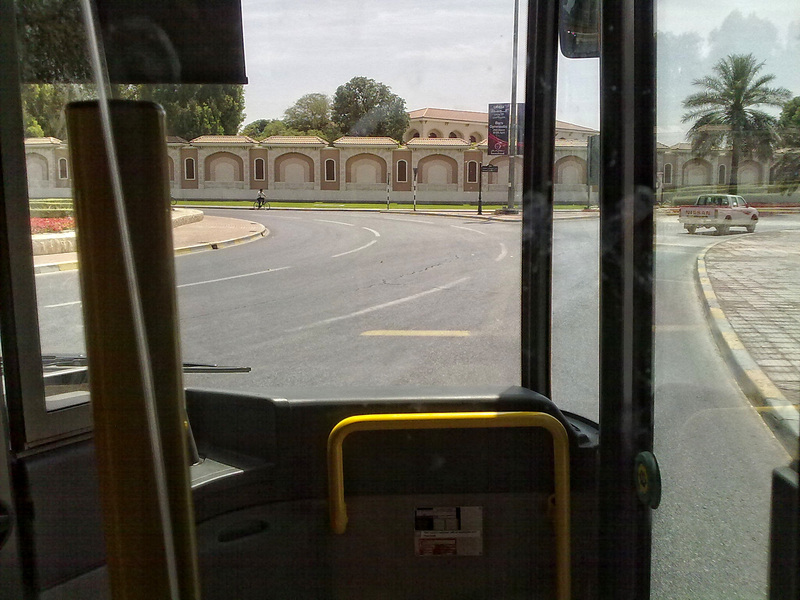 I was traveling in Al Ain today and here is a view while I’m in a public bus. 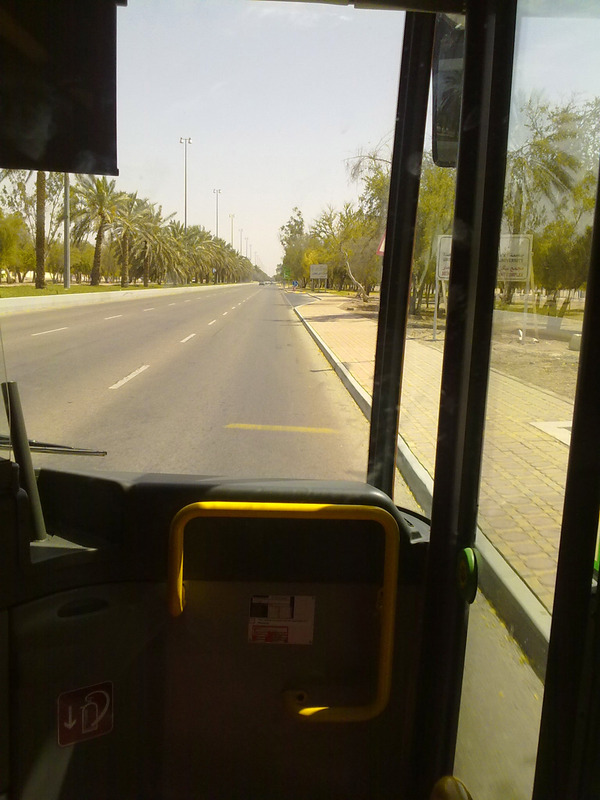 It is a very inexpensive trip for only AED 1.00. Al Ain is the birth place of one of the greatest ruler of Abu Dhabi. 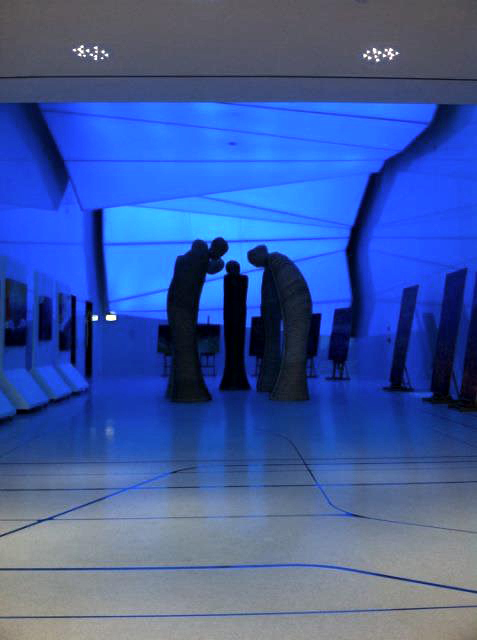 The photo below is one of the palaces of the family. The walls itself are made of different stones. The design actually reminds me of Chinese architecture and the actual palace are unlike the European which is very tall but instead it is wide and spacious. 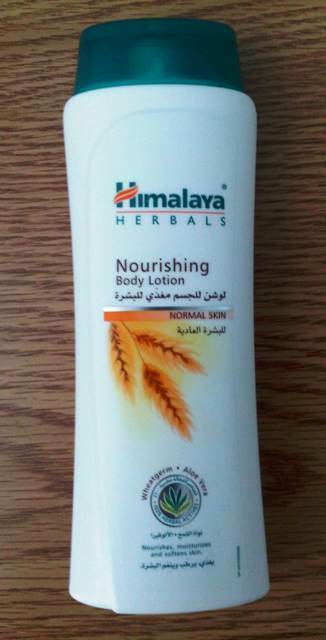 This lotion is given to patient by Tawam Hospital in Al Ain, Abu Dhabi and it works. 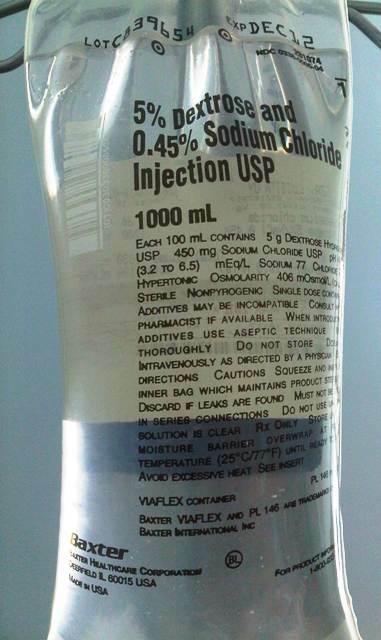 This product is made in Bangalore, India. 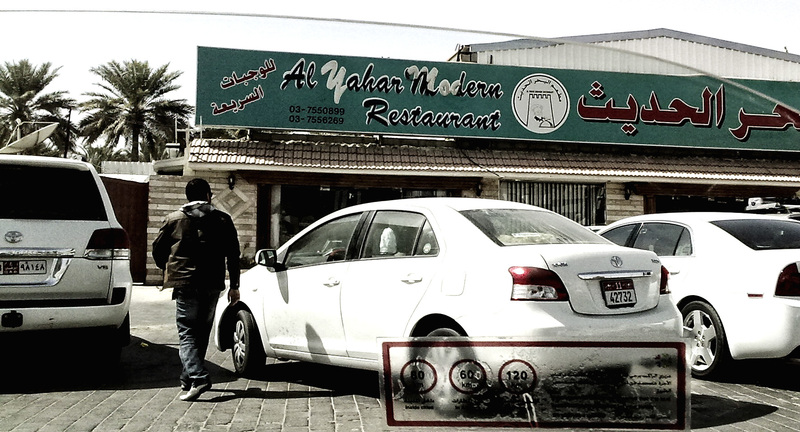 Our family discovered the best restaurant for Arabic Mutton Biryani in Al Ain and it is called Al Yahar Modern Restaurant. 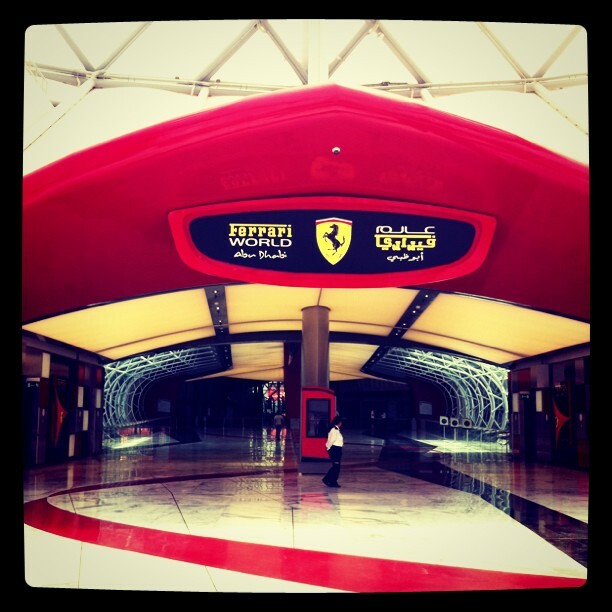 It’s located at the street between Jahli Park and Emirates Post. The restaurant doesn’t look very elegant and modern (contradictory to the name) but it’s part of its charm; actually the food is that good I forgive the look. Takeout orders are super fast and it’s the door at the left. 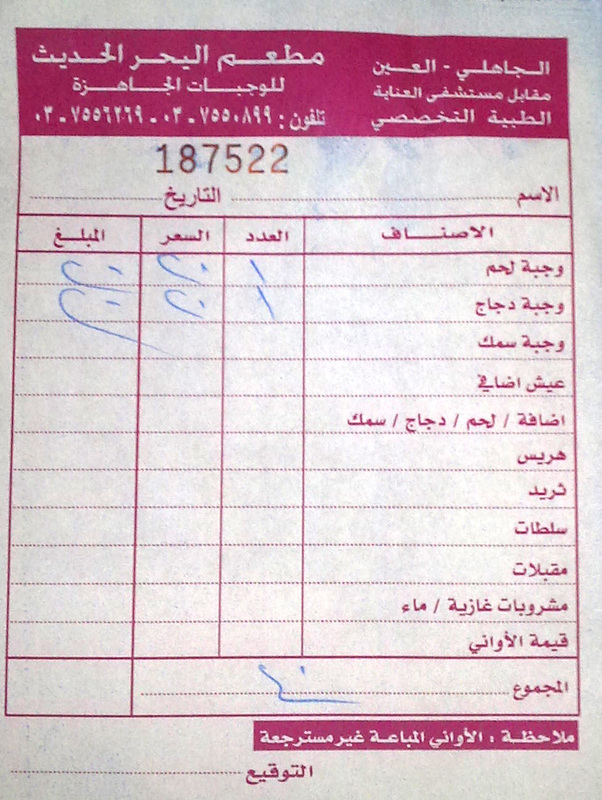 In this invoice I ordered 1 Mutton Biryani and 1 Chicken BBQ Biryani that is AED 20.00 per order. Total bill is AED 40.00 and not bad at all considering the generous serving. 1. There may selected biases found at work but everything else that is leisure as long as you have the way to pay for it you can live it. Stay in 5-star hotels or purchase a designer’s bag. 2. Freshest fruits in different varieties available in the supermarket. 3. No tax. If there is in existent, it’s still barely there. 4. 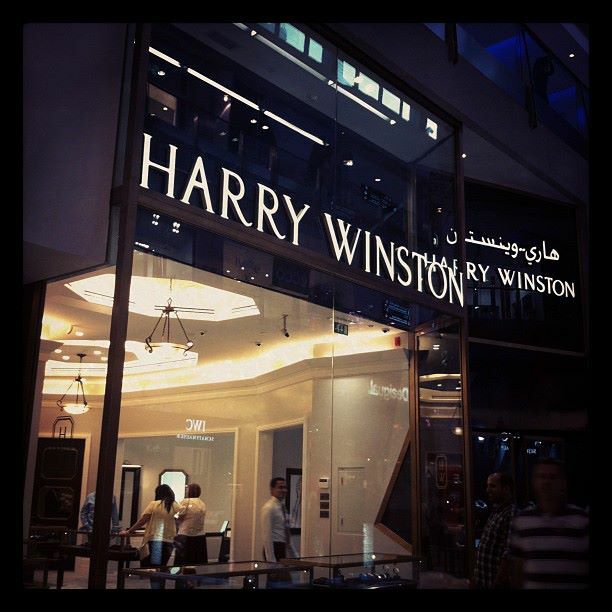 Best brands in the world flock over here – Harry Winston, Christian Louboutin, Ferrari World, Laduree, etc.